Specialty carbon blacks can improve performance through premium ultraviolet (UV) protection. For the regulated pressure pipe industry, we are the leader in the development of high purity specialty carbon black and masterbatch products that, when compounded using internationally recognized compounding techniques, can meet International Organization for Standardization (ISO) and other national standards governing the production and installation of high-density polyethylene (HDPE) pressure pipe. Our p-type carbon blacks provide exceptional UV weathering and low compound moisture absorption (CMA) with extremely low levels of sulfur, ash and grit that ensures best-in-class performance in regulated pressure pipes. Selecting the right carbon black or masterbatch is critical to satisfying these requirements. 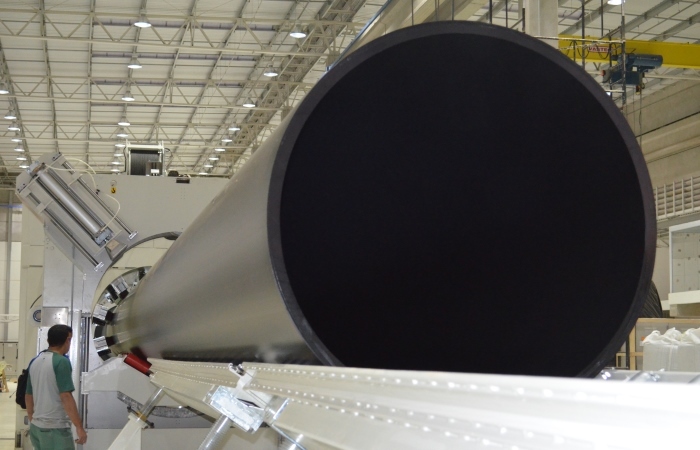 For other pipe applications, such as irrigation or corrugated pipe, we have a range of high-performing specialty carbon blacks and masterbatches that can provide the necessary UV protection to prevent polymer degradation and extend the performance life of pipe. A black polyethylene masterbatch that is designed for use in cold potable water pipe and cable sheathing applications. A black linear low density polyethylene (LLDPE) masterbatch for specified carbon black content in drip irrigation pipes. A black linear low density polyethylene (LLDPE) masterbatch for drip irrigation pipes, particularly recommended where recycled material is used. A high performance black masterbatch designed for use in irrigation pipe. A high performance black masterbatch designed for use in the manufacture of irrigation pipe and potable water pipe systems in certain countries. A specialty black masterbatch designed for irrigation pipe. A black polyethylene masterbatch that has been developed for use in non-regulated pressure pipe applications where masterbatch is added to natural resin, as opposed to use of a compound. It can also be used in cable jacketing applications and offers excellent dispersion and jetness properties. A specialty carbon black designed for pressure pipe applications offering excellent ultraviolet (UV) protection and low sulfur levels for superior pipe performance. This specialty carbon black is easy to process with very low compound moisture absorption (CMA) characteristics. A specialty carbon black that is an industry standard for ultraviolet (UV) protection in plastic applications, such as pressure pipe, cable jacketing and agricultural films.